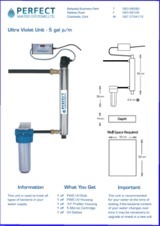 UV or Ultraviolet Water Purification Systems are the proven way to safeguard your family’s drinking water. When you install a Perfect Water UV water purification system, you can drink with confidence. 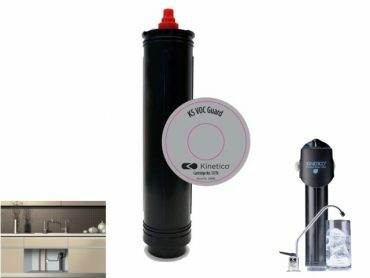 You no longer have to be concerned about bad water tests, boil water advisories or contamination by harmful micro-organisms. The PWS UV range uses the same proven UV technology employed by large systems that purify the leading brands of bottled water and the drinking water of major US and European cities. Disinfecting your drinking water with UV (Ultraviolet light) makes good sense. It’s exceptionally effective and environmentally safe, well proven and it’s the way of the future for water disinfection requirements around the globe. How does UV disinfection work? When bacteria, viruses and other micro-organisms are exposed to germicidal UV light at a particular wavelength (253.7 nanometres) their reproductive capabilities are destroyed, which means that they are inactivated and no longer pose a threat to human health. Ultraviolet disinfection systems channel water past submerged lamps that emit lethal doses of UV energy, destroying any pathogens. Not only is it safe and highly effective, UV does not change the taste, colour or odour of water. It simply removes the risk of illness caused by microbial contamination, making the water safe to drink or use commercially. That’s why, for more than 20 years, institutions and businesses from hospitals to holiday resorts have relied on UV technology. First to offer a unique combination of the lamp and sleeve – making maintenance simple and no need for tools! 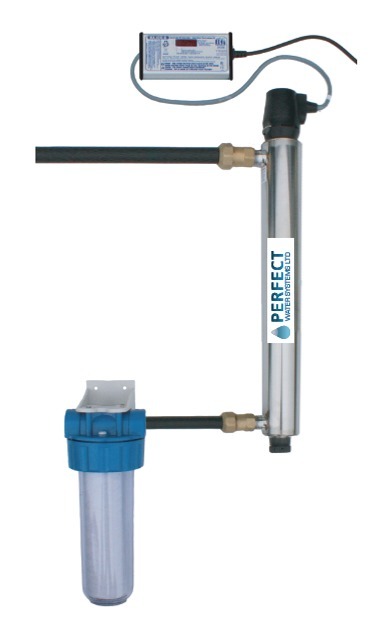 Perfect Water Systems provide UV Lamps and UV systems for various applications and flow rates ranging from 5 gpm (gallons per minute) up to 32 gpm. Click on the links to download a PDF information sheet on each model. For the first time, you can now have a real-time display of UV dose – and a true measure of how your system is operating. The optional COMMcenter also displays alarm history, lamp hours, and other performance parameters – for up to nine systems! The COMMcenter can be installed at any distance from the UV system using standard computer cable. Or go wireless with an optional FCC compliant wireless transmitter. The consistently stable lamps deliver only the required dosage and are not affected by ambient conditions. The consistently stable lamp means you can install UV in a greater range of applications, from ice cold water to hot water re-circulation lines. The UV system pumps out twice the UV light of current high-output lamps. This means simpler installation in tighter corners and a reduced environmental footprint. Call our friendly staff at Freephone 1890-989098 or in Charleville at 063-89290 for more information. If you have specific questions or just need more information, submit the form below for a quick response. 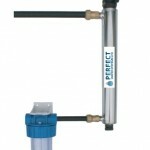 We have been with perfect water systems for the last 10 year and couldn't recommend them high enough. We have never had a problem with our system. Before the installation we were unable to use our water but since we got perfect water system installed we have never looked back. I have been a customer for over 10 years have never had an issue. Had system serviced yesterday and as always very professional explained everything in detail I would highly recommend perfect water systems charleville. We have Perfect water systems installed for 10 years and the water has never tasted any better. So glad we installed it! We are very satisfied customers of perfect water systems for many years.